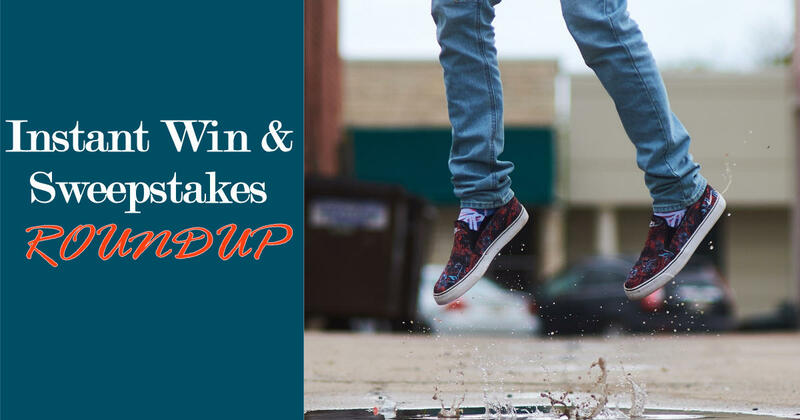 Instant Win & Sweepstakes Roundup! Win Up to 50,000 Starpoints for Free Hotel Stays Instantly! Win FREE Hotel stays at Starwood Hotels by entering the Starwood Preferred Guest: More for You Sweepstakes and Instant Win Game. There are over 1,400 prizes of Starpoints that can be redeemed for Free Hotel Stays! Enter by September 12. “The Ultimate College Survival Kit” is up for grabs and includes pans, pots, meat grill, ramen cooker, rice cooker, steamer and more! Ages 13 years and older can enter this sweepstakes from Nordic Ware by September 5th. Enter the Food Network Lucky Star Giveaway for a chance to Food Network is making one lucky winner richer with $10,000! Read more to find out the Secret code to Enter! A Year of Al Fresco and Minute Maid Products could be yours, along with $1,000 Cash! Just Enter the Vote for Your Favorite al fresco & Minute Rice Recipe Sweepstakes for your chance to Win by September 26. Win a Trip for 4 to the MLB World Series Game! A Trip to the World Series for you and three friends could be yours in The World Series with Evan Williams Bourbon Sweepstakes! If your selected as the winner you will also recieve a $400 MLBshop.com gift card and $250 Mastercard. Enter through October 14, ages 21+ only. Don’t forget! Join our community of subscribers for the hottest Sweepstakes delivered right to your email every day!